The 700-passenger, all-suite, all-balcony Voyager, along with sister Mariner, is luxurious and spacious, offering multiple elegantly designed lounges, restaurants and suites in rich fabrics and warm colors. Every stateroom is a well-appointed mini palace boasting a balcony and some 445 gracious European and international crew dote on guests, leaving nothing to chance. Public rooms include a glamorous two-deck theater for Vegas-style production shows, a disco, casino and an atmospheric Observation Lounge set high up on the top deck. Enjoy 180-degree sea views from the curved bar and plush seating. You’ll also find a well-stocked library, a clubby cigar lounge, a card room, Internet center, gym and Canyon Ranch spa offering a host of rejuvenating treatments. Stroll to the spacious Deck 11 and take a dip in the pool or one of three hot tubs, or just chill out on a deck chair and revel in the beautiful surroundings both onboard and off. For a bit of outdoor exercise, avail of the paddle-tennis court, golf driving nets, shuffleboard courts, and jogging track. At mealtime, take your pick of chic four restaurants, including a single, open-seating main dining room, plus an indoor/outdoor casual restaurant. For dinner only, choose between two intimate reservations-only (but no-charge) restaurants, one serving exquisite French and the other steak and seafood. If you don’t want to stroll too far from your chaise lounge, dine on grilled food served poolside. When retiring to your cabin, chances are it will be a dreamy Deluxe Suite, a 306-square-foot above with a 50-square-foot balcony, that comprises the bulk of the ship’s accommodations. Lovely marble bathrooms are even better than on Mariner, and also boast separate showers and bathtub. The top suites include the forward-facing, 1,204-square-foot Master Suites and the 359-square-foot Horizon Suites, which have great views of the ship’s wake. All staterooms have king-size beds convertible to twins, bathrobes and slippers, flatscreen TV with DVD player, stocked mini-fridge and a large walk-in closet. Balconies aren’t perfectly private though, as the walls separating them do not extend all the way to the edge of the ship’s rail. The Penthouses on up to Master Suites all include butler service — but of course. Regent’s all-suite, all-balcony Seven Seas Voyager boasts an extremely roomy space ratio: 66. Ships with high space ratios, I find, can appear empty, even when sailing full. You can walk down a hallway and not run into anyone. If you’re one who appreciates your personal space, you’ll feel comfortable on a ship with a high space ratio. Staterooms too (or actually they’re called suites on the 700-passenger all-suite, all-balcony Seven Seas Voyager) were large. 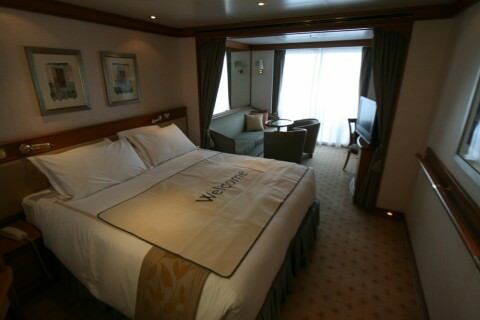 The smallest on Seven Seas Voyager (category H) measures a generous 356 square feet with the balcony. All staterooms feature large and beautiful bathrooms with separate tubs and showers. I inserted my key to enter Penthouse Suite 1049, a category A stateroom measuring 370 square feet. Regent recently spent $20 million in vessel refurbishments that brought big enhancements to the staterooms and public areas of the four-year-old Seven Seas Voyager (as well as sister Seven Seas Mariner and the 490-guest Seven Seas Navigator). Those ships feature wireless service for laptop computers and faster Internet connectivity overall, cell phone service, and iPods with Bose speakers in Butler suites. Suites come with butler service. Other enhanced amenities include bed linens, duvets, cashmere throws and bathrobes from the luxury brand Anichini; new towels and slippers; and new Regent-brand bathroom amenities. Master and Grand Suites aboard the three ships now also feature personal Nespresso coffee machines, while each of the three ships’ Club.com computer lounges also have state-of-the-art espresso bars. Penthouse-category suites come with a butler. I wasn’t sure what to do with mine, so I asked. I learned that I could use my butler to make dining reservations at the extremely popular alternative restaurants, Signatures and Latitudes. My butler suggested that I make reservations within the first day or two of boarding. Be sure to heed the advice if you’d like to dine in either or both of these fine restaurants. I also used my butler to choose my preferred canapés each day from a variety of options. Butlers, according to Ved Sharma, head butler on Seven Seas Voyager, are there to make your life easier. They can do everything from help you with your high-tech equipment — digital cameras, iPods and so on — to making tender reservations for going ashore. Sharma’s most unusual request: the guest who wanted a suckling pig served in his suite. The wish was fulfilled. 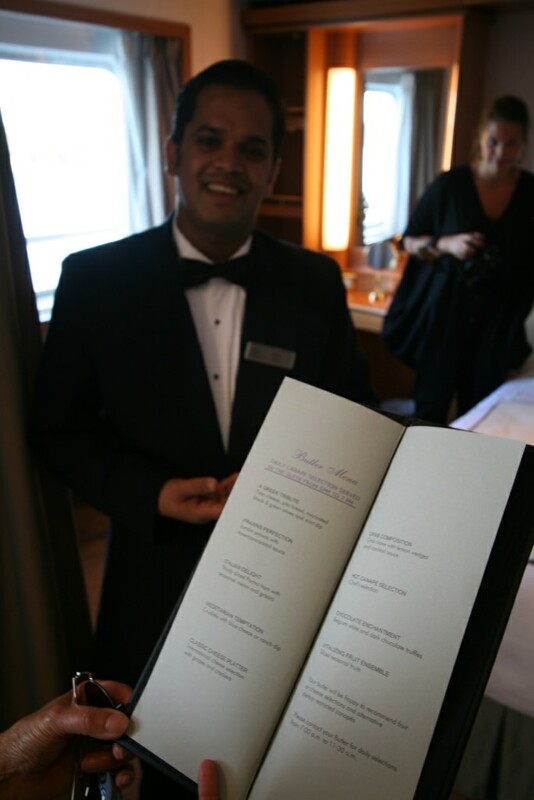 Sometimes, however, butlers cannot meet a guest’s request, such as the passenger who wanted bananas when the ship ran out during a crossing. The butlers got creative, however, and brought the guest pancakes made with frozen bananas. Seven Seas Voyager is truly all-inclusive. Fares include beer, select wines and spirits served throughout the ship. On my cruise from Rome to Nice, there were quite a few passengers who had cruised with Regent multiple times — and for good reason. The cruise line’s loyalty program is one of the industry’s best. Victoria Gallegos, a cruise consultant on Regent Seven Seas Voyager, says there are five tiers of the program, known as Seven Seas Society. Those who have sailed 21-74 nights, in the Silver category, receive complimentary internet access, one hour complimentary phone time and more. Platinum members who have sailed 200-399 nights receive all the perks of the previous categories plus an additional six hours of phone usage, air deviation, pressing, laundry services and more. Those who have sailed 400 or more nights receive everything from the previous tiers plus transfers to and from their homes and dry cleaning on board ship. 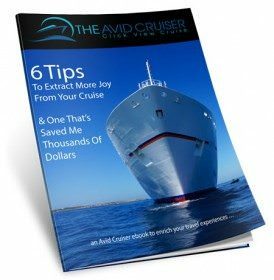 I talked with George Burke, an accountant who developed an Excel spreadsheet comparing the value that individual cruise lines offer relative to the fare paid. His conclusion: The lead price point for Seven Seas Voyager and other ships in the Regent fleet may appear higher than the fares on premium-category vessels or other luxury ships, but the picture changes once you factor in all that you get on Regent. Regent was actually cheaper on a per-square-foot basis than other premium and luxury lines in Burke’s analysis. And he did his work before Regent changed its policy to include alcohol free of charge. You won’t need to dig into your pocket for gratuities either, which are included in the fare. Add to that the perks for Regent repeaters — free internet access and phone usage and did we mention free booze? But it’s not just the free bubbly that make Regent’s guests so ebullient. The overall high standard of service and the value of the Regent experience itself gives good reason for cheer. Please send me the itinerary for your 3 beautifil boats for the months of Jan and Feb of 2012. Seven Seas Voyager: The ship is not safe. had. We should have known this as last October when we were in London to board the Silversea Whisper, I picked up a copy of Conde Nast Traveler (European edition) and Regent was not listed at all as one of the top cruise lines. Then, in the November, 2014 issue of Conde Nast Traveler (American edition), Regent was not listed as one of the top five cruise lines in any category. And here on Cruise Critic, under “Luxury Cruise Reviews,” it has a very low rating of 69 percent. advertised as a luxury ship? The bathroom room door opens directly into the path leading from the living room to the bedroom causing us to get banged (we did initially) if we did not walk that path carefully. This is an example of how poorly designed is this ship. permission to enter. The ship is not safe! The safe was so small that a laptop could not be secured. The television was not installed into the cabinet. It was mounted on a mismatched, after-thought board that stuck out into the room and the wires could be seen. The evening canapés were so bad (tasteless, non-descript, and cheap) that we asked the butler not to bring us anymore. Even the presentation of them had no thought behind it. And the assorted nuts were the cheapest brand and variety they could buy. chair at another table. During dinner you could feel a constant brushing against the back of your chair as people walked behind you. We saw a waiter spill wine on the back of a passenger. conversation all around you. The table arrangements in the specialty dining rooms were just as crowded. And as for the buffet at lunch, it was even more crowded. During tea time, you had to queue a buffet line to get your food and then wait forever for an understaffed room to bring tea in a metal pot (it never said high tea, so I should not expect ceramic pots). Then, thirty-minutes into tea time (when you may have finally gotten your food and tea), any relaxing, social tea time you expected was transformed into urging people to get into groups to play trivia with an accompanying loudspeaker blaring into the tea room. This is not a luxury cruise line. handrails thus preventing entrance to the row of bench seats. Like the bathroom door in our room that opened into a pathway, the design of the dining room and the theater is ludicrous. line you find them on. 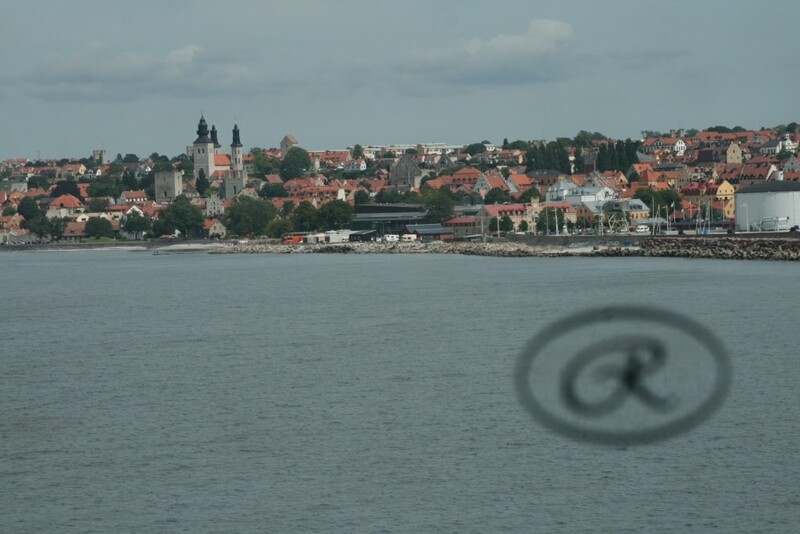 Regent loves to advertise that all excursions are included in the cruise price. 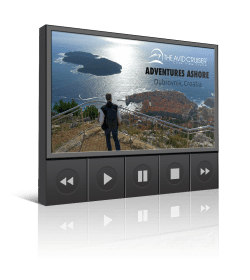 We paid $66,000 for this cruise and believe me, the price of all the tours were hidden in the total price. They are not inclusive. Because the tours were all included, hundreds of passengers were crowded into the theater early every morning to be dispatched to a collection of buses for tours. There is nothing restful or luxurious about this feature on Regent. At the end of the cruise, you can be very tired going from one “free” tour to the next. If you want to relax on a cruise, the Regent concept of “free excursions” is not for you. The tours are a carefully orchestrated set of skimpy, budget tours, cleverly disguised as all-inclusive tours to lure you into cruising with Regent. For instance, on a tour of Shanghai, we were taken to an 88-story observation deck and then a round trip ride on the magnetic elevation train for an eight-minute ride, each way, to and return from the airport. We were then returned to the ship. On a tour of Osaka, we were bussed for several hours to Osaka Castle, a Buddhist temple, and returned to the ship. On our tour of Seoul, we were taken to the government palace, an adjacent museum, and let off on a shopping street to walk back to the bus parked at the end of the street. Not all tours on Regent are included free. There are selected tours you can purchase. We did this for a high-tea tour to a village in Taiwan to include stops for tea, an art museum, temple, and garden. Tea was not high tea; it was in a crowded restaurant where our group was squeezed into round tables, served tea, and then told to wander the one street to shop for over two hours (easily done in 20 minutes) until the bus returned us to the ship. We never went to the art museum, temple, or garden, but were charged for a bus ride to have a cup of low-tea. other suite numbers. The night before disembarkation, we received a note under our door after dinner telling us that “based on overall feedback we have received, no adjustment will be made.” This is a lie as no survey was ever taken of any of the tours. When this was brought up to the CEO of Regent in a letter, he did not respond. Just completed our 3rd Regent Seven Seas Cruise. We noticed a considerable drop-off in their level of quality and service. ln-suite butler service was still OK, but not as good. Condition of ship and quality of food and entertainment were not up to standard. Very disappointing. We loved Regent, but now we would choose another cruise line. Tours are much more crowded. Our clothes were stolen from the laundry. Clientele is deteriorating as well. Everything appears to have been cheapened since Norwegian bought Regent. I would consider another cruise line. 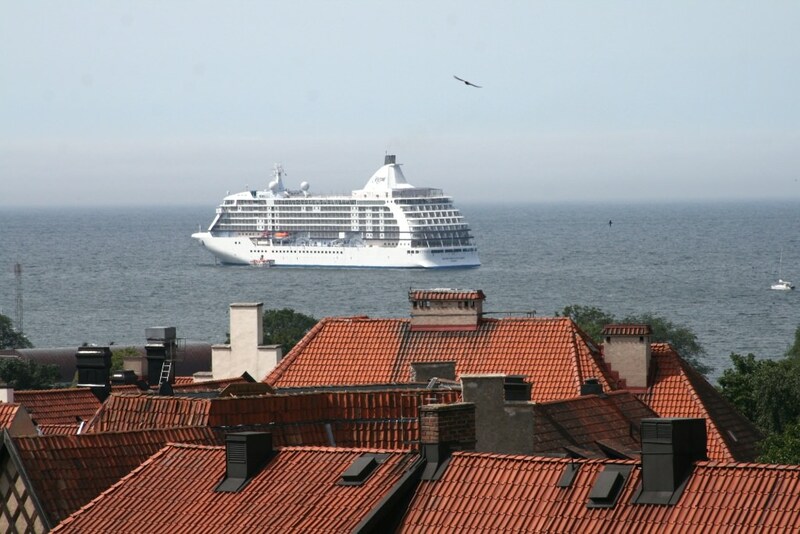 Have you tried Silversea or Seabourn?